Angling Yarns. by E Marshall-Hardy. by Marshall-Hardy (Eric). (1894-1965). 1936. First Edition. 214 pages. No dust jacket. Writing to blue boards. Cracks to hinges, text pages tight. Book is in better condition than most examples of this age. Neat, clean, well bound pages with very minimal foxing, tanning and thumbing. Small inscriptions and neat labels may be present. Slight lean to spine. Softening to spine with mild bleaching, sunning to spine, boards and edges. Water marks to spine, boards and edges. A few marks, wear and bumps to spine ends, boards and edges. Small bumps to corners with bumps to boards edges. 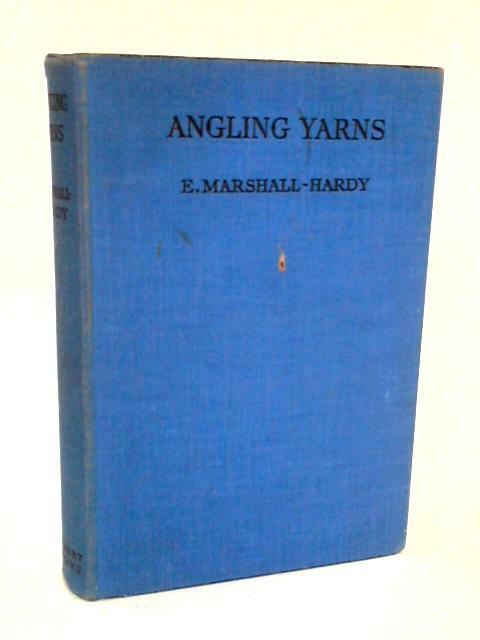 Angling Yarns. by E Marshall-Hardy.